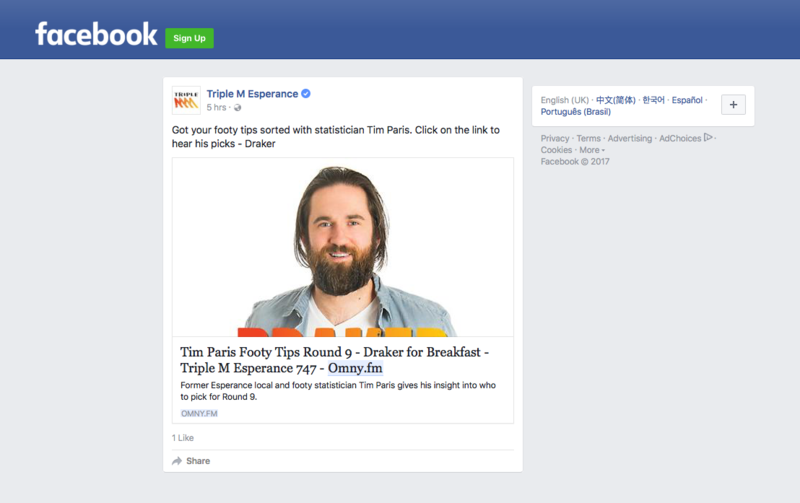 How to best share your audio on social media platforms like Facebook and Twitter. 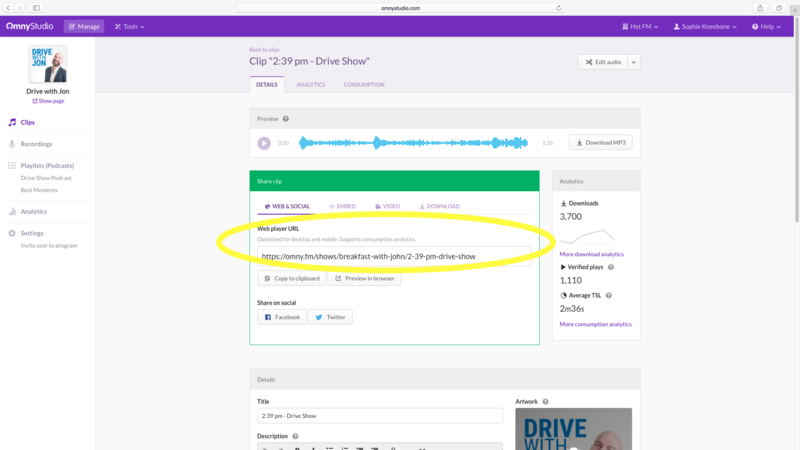 Omny Studio has a number of tools that allow you to easily share your audio to social media. Public: The clip is accessed with an omny.fm link (will appear in the show listing and will be indexed by search engines), can be embedded, can be downloaded directly, and will appear in RSS feeds if added to a playlist. Private: The clip is not publicly visible or accessible. Unlisted: The clip is not publicly viewable (and should not indexed by search engines), but can be shared via the Omny.FM link, embedded in a website, or linked directly to the MP3. Note: if you add an unlisted clip to a playlist, it will become visible in the playlist if the playlist is shared (as a unlisted or public playlist). The best way to share your clips on Facebook and Twitter is to use our Headliner integration to create a social video or "Audiogram". The published omny.fm link can also be shared anywhere. It links to an Omny page with a web player allowing desktop and mobile users to listen to the clip. It also includes the artwork, title and description of the clip. This link can easily be accessed by clicking on the clip you want to share. Play from: add ?t=5s to the URL to start the player at a specified time. The time format is ##m##s for minutes and seconds. Sharing the omny.fm link on Facebook will automatically show a preview with the clip's artwork, title and description. Clicking the link will open the responsive omny.fm web player which is optimised for both desktop and mobile playback. 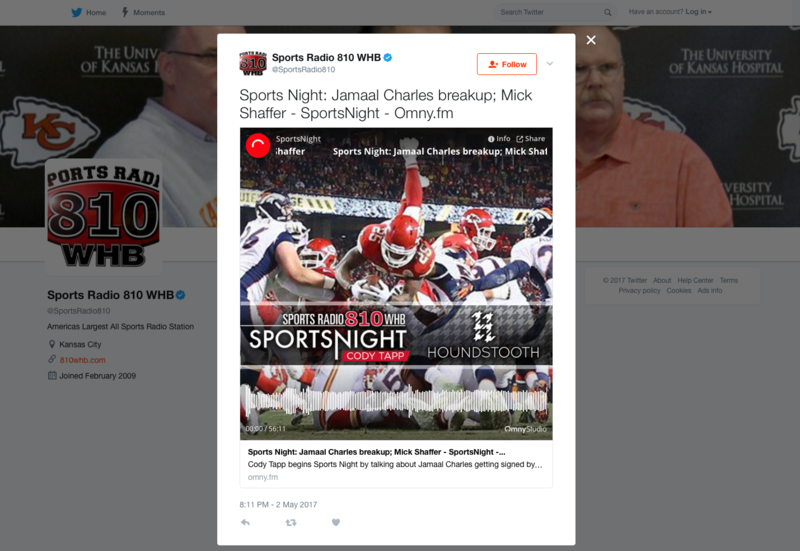 Sharing the omny.fm link on Twitter will automatically show the clip’s artwork, title and description in a Twitter Card on desktop and mobile. Twitter users on desktop can play the audio through an embedded player within the Twitter Card. Twitter users on mobile can play the audio through an embedded player that opens in Twitter's built-in web browser. Note: Due to Twitter's restrictions, third-party Twitter Cards only appear when a Tweet is either expanded in the timeline (on web) or viewed on the Tweet’s individual permalink page (by clicking on the date from the timeline, either on web or on mobile).